MOCAP has the Product Protection Part that fits.MOCAP manufactures several families of vinyl plastic dip mouldedand plastic injection moulded plastic caps, plugs, gripsand covers for all of your product protection needs. 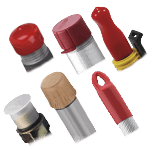 From injection moulded low density polyethylene plastic caps and plugs to vinyl dip moulded caps plugs grips sleeves and corner covers, MOCAP has the low cost quality products to satisfy your product protection requirements. The vinyl dip moulding process allows you to specify length, wall thickness, material, colour, texture and hardness with no additional tooling charges. 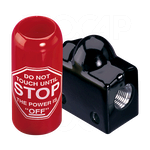 MOCAP also offers hundreds of sizes, shapes and designs of polyethylene plastic caps and plugs stocked and ready to ship. 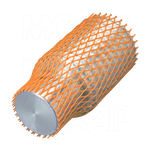 MOCAP's protective netting is stocked on rolls in sizes to fit parts from 6.4mm to 304.8mm (1/4" to 12") diameter. 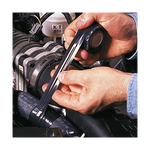 Silicone X-Treme Tape™ is a self-fusing wrap that won't melt to 260°C (500°F), remains flexible to -62°C (-80°F) and can insulate up to 8000V. And if our standard caps, plugs and grips won't meet your needs, let our engineering department design a customized part for you. Either way, MOCAP Has the Part That Fits.